When can the court order sale of a house? This question can arise in both a family relationship and commercial arrangements. Family solicitors at Cheshire firm Stonehewer Moss set out the situations in which sale might be ordered in respect of the former group of people in this blog. For non family arrangements, the law is generally governed by principles of land law and the statutory provisions of the Trust of Land and Appointment of Trustees Act (TOLATA). A litigation solicitor can advise on the latter group. For someone owning a property in a family relationship, the law that applies to sale is determined to some extent by whether you are married. If not married, the assertion of a right upon which an order for sale might arise can become very technical ( and expensive)if your name is not on the title as owner. The law of trust will apply and is outside of the scope of this blog, for the purpose of which the un married client will be assumed to own or have proven a trust interest in a property. For a married person, the simplest means to achieve a sale is through the divorce procedure. The Court dealing with financial remedies in divorce has a broad discretion to achieve a fair outcome. Possible orders include lump sum to be raised by one of the parties to the marriage or property adjustment orders, which might be an order transferring the house between you. An order for sale is not a primary order made within divorce, it is a corollary to an order such as a lump sum or property adjustment. For example, the order might be expressed that if the lump sum is not paid by a particular date then the house should be sold and the lump sum realised from the proceeds of sale. On occasions, the order will have adjusted ownership by providing the house be retained to be occupied by one of the couple, perhaps with the children and should be sold on certain events such as re-marriage. A delayed arrangement such as this might be conditional on the occupier affording the mortgage etc, so a subsequent application for immediate sale could be made if not being paid. The point to take from this is that the court has a choice about the outcome in divorce and fairness, like justice, might mean different things to different judges. Expecting sale when pursuing a financial remedy may be unrealistic. The Courts take several month to follow the process and interim orders for sale are not achievable in most instances following a case authority called Wicks. See s24A Matrimonial Causes Act. Technically, it is possible to seek an interim order through s 17 of the Married Womens Poperty Act 1882. This statute could also be used if a couple simply wanted to be separated rather than divorced. The litigant for such an order will need strong nerves as it is foreseeable that an opponent will claim they want a divorce and it is a wasteful process when it should be looked at in the round with all the other assets. In addition, the Court under this statute has no power to order vacant possession, making it unsaleable if your spouse refuses to leave, so a successful occupation order application under the Family Law Act may also be necessary and will need an evidential basis; such orders are considered draconian. Married people are therefore at a slight disadvantage to cohabiting couples if their objective is a piecemeal approach ie just get the house sold and worry about the rest later or hope it never gets looked at. In reality, a separated person either needs to settle all issues with their spouse or let the court deal with all assets in divorce. By contrast, a cohabitee can seek an order for sale under s17 if engaged or using s14 and s15 TOLATA, when the court will be limited to order of sale without any form of property adjustment. 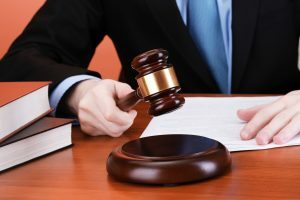 The statute requires the purpose for which the house was bought to be considered and, while the decision to sell is discretionary, if the relationship is over the sale may be likely unless needed by children. The costs rules for this application are harsher than in divorce and trust based disputes can be expensive. When can the court order sale of a house? If you are no longer in your relationship with the other owner, cannot negotiate a settlement and the facts appeal to the court as the thing to do. This article was added on Tuesday, March 7th, 2017 at 2:58 pm and is categorised under Cheshire divorce solicitor, Cheshire News, Chester News, cohabitation disputes, Divorce, Family finances, Hartford divorce, Macclesfield News, northwich solicitors, Runcorn News, Warrington News, Widnes News, Winsford News. Both comments and pings are currently closed. Error: Error validating access token: Session has expired on Saturday, 09-Mar-19 13:12:58 PST. The current time is Wednesday, 24-Apr-19 20:00:43 PDT.